A chap in the United Kingdom put up one of the original Cray-1 gate array modules on the UK eBay site for £550 on May 17, and no one bid on it. This seller claims that the Cray 1 module came from the very first Cray-1 super, which was installed at Los Alamos National Laboratory in 1976 after a bidding war with Lawrence Livermore National Lab. This original Cray-1 was shipped off to the European Weather Centre in the UK, and then absorbed into the bowels of a UK government site for heaven only knows what purpose. 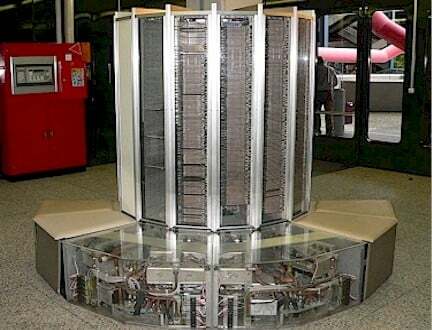 The Cray-1 vector supercomputer: Still the coolest HPC of all time, unless you like Der Blinken Lights. Over at FutureBots in the States, Dan Mathais — who sells electronic components and has a huge collection of vintage PCs, minis, and supercomputers as well as toy robots — also has a Cray-1 module for sale here on eBay for $1,000.